What Are the Health Benefits of Inulin? We could all use digestive support from time to time, especially if we’re not consuming a high-quality diet. For a healthy stomach and digestive tract, inulin is a must. While you can’t digest this water-soluble dietary fiber, you won’t feel good without it. 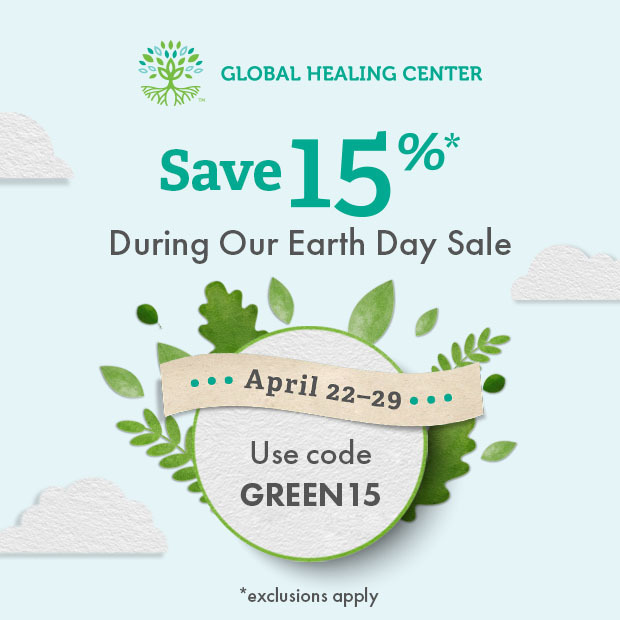 It’s found in many natural plant foods and is known as a prebiotic, and recent research indicates it has much more far-reaching effects than just keeping your tummy happy. Inulin is a heterogeneous mixture of fructose polymers found in nature as plant repository carbohydrates. This dietary fiber survives your stomach acid and passes into the small intestine. 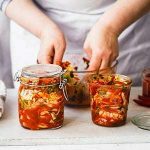 Along the way it mixes with water, ferments, and then becomes food for life-supporting probiotic bacteria of the large intestine. 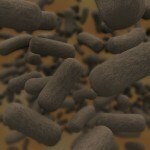 This bacteria includes things like bifidobacterium and lactobacilli. When you keep bacteria like these fed, they keep out unwanted bacteria like E. coli and Clostridium difficile and fungus like Candida. Inulin has many researched benefits, including weight, cholesterol, and blood sugar support. 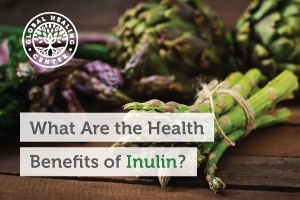 Here are a few of the many benefits you can get from inulin. A study of 49 women with diabetes reported those who took inulin responded better to sugar, had lower glycemic levels, and increased antioxidant activity. While more research is needed, the importance of a healthy gut can’t be understated. How Much Inulin Do You Need? There is no set limit for how much inulin you can have, or really how much you need. Typically, you want to eat inulin-rich foods every day to keep your digestive tract healthy and working right. 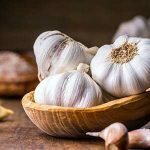 If you’ve been taking antibiotics, you will want to increase inulin and maybe even supplement with the compound to replenish the intestinal bacteria that antibiotics wipe out. Alcohol, processed, sugary foods, and fried foods also kill off the healthy intestinal bacteria you need. So if you’re trying to right your diet, lose weight or overcome IBS or IBD, you will want to increase your inulin intake. If your diet has been high in processed foods and sugars, start slow. Too much of this dietary fiber too quickly can lead to bloating, gas, diarrhea, and intestinal discomfort. But this doesn’t mean you shouldn’t eat foods high in inulin. The best natural food sources of inulin include bananas, asparagus, Jerusalem artichoke, jicama, leeks, onions, garlic, and chicory and dandelion root. Inulin can be obtained through supplements; however, it is always best to get the ingredient closest to its natural source as possible. Many supplements feature chicory as their source of inulin. If you do need to use a supplement to add more inulin to your diet, I recommend Floratrex™. Floratrex is a powerful probiotic featuring an organic inulin prebiotic. 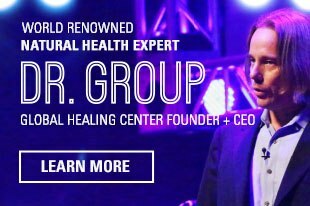 It features 23 strains of the bacteria your gut needs, along with inulin prebiotics to help ensure those strains are properly supported within your microbiome. Have you supplemented your diet with inulin? Share your experience with the community below. Niness KR. Inulin and oligofructose: what are they?J Nutr. 1999 Jul;129(7 Suppl):1402S-6S. Dewulf EM1, Cani PD, Claus SP, Fuentes S, Puylaert PG, Neyrinck AM, Bindels LB, de Vos WM, Gibson GR, Thissen JP, Delzenne NM. Insight into the prebiotic concept: lessons from an exploratory, double blind intervention study with inulin-type fructans in obese women. Gut. 2013 Aug;62(8):1112-21. doi: 10.1136/gutjnl-2012-303304. Pourghassem Gargari B1, Dehghan P, Aliasgharzadeh A, Asghari Jafar-Abadi M. Effects of high performance inulin supplementation on glycemic control and antioxidant status in women with type 2 diabetes. Diabetes Metab J. 2013 Apr;37(2):140-8. doi: 10.4093/dmj.2013.37.2.140. Marteau P1, Jacobs H, Cazaubiel M, Signoret C, Prevel JM, Housez B. Effects of chicory inulin in constipated elderly people: a double-blind controlled trial. Int J Food Sci Nutr. 2011 Mar;62(2):164-70. doi: 10.3109/09637486.2010.527323. 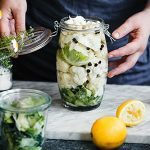 Prebiotic vs Probiotic – What’s the Difference?